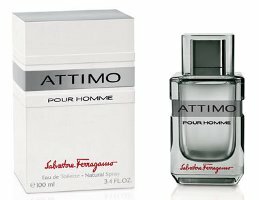 Salvatore Ferragamo will launch Attimo Pour Homme in October. The new fragrance for men is the masculine counterpart to 2010's Attimo. Attimo Pour Homme will be fronted by actor Alessandro Gassman. Attimo pour Homme is a fresh woody oriental; notes include marjoram, cardamom, mandarin, saffron, pimento, patchouli, vetiver, labdanum and white musk. I’m a fan of F Black…. cannot wait to try this fragrance. Sounds intense! Hope it will work for you! I can just see this in the clear plastic anti-theft containers at TJ Maxx by December. Just in time for holiday shopping on a budget! I’m quite intrigued with the listed notes. It does sound nice & spicy. Sign me Up! I Am Ready! I’ve tried this, it’s surprisingly very nice. Reminds me of Homme Exceptionnel by Mont Blanc which I also like, except slightly more peppery. Very nice, if it comes up at a reasonable price somewhere I’ll get a bottle, it would be ideal for the office.